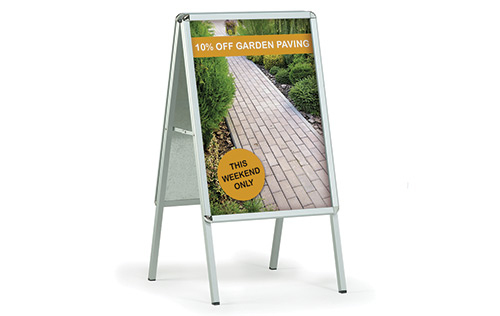 Pavement Signs are a common method for retail and other high street outlets to promote their business to passing footfall. We can design and produce Pavement Signs in various styles - please phone 0800 999 KWIK and ask for further details to be emailed to you. FAST – We can produce pavement signs within a few days.